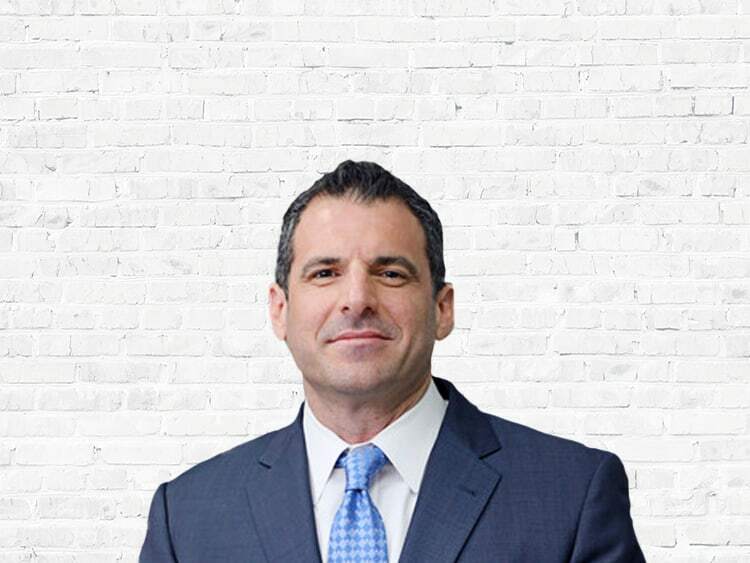 November 2, 2018 | by The Law Offices of Evan M. Rosen, P.A. October 30, 2018 | by The Law Offices of Evan M. Rosen, P.A. March 22, 2018 | by The Law Offices of Evan M. Rosen, P.A. This time the bank proved standing but could not prove it complied with its own contract. September 28, 2017 | by The Law Offices of Evan M. Rosen, P.A. July 15, 2017 | by The Law Offices of Evan M. Rosen, P.A. January 17, 2017 | by The Law Offices of Evan M. Rosen, P.A. June 3, 2016 | by The Law Offices of Evan M. Rosen, P.A. We lost a trial in January of 2015 even though I thought we had a very clear winnable issue based on the “best evidence rule.” This rule is a fairly small body of law but it seems many lawyers and judges struggle to fully comprehend what it means and how it gets applied. In this case, the trial judge gave us ample time and consideration to make our argument. However, he ultimately did not agree with our position and entered final judgment against our clients. We appealed and the Fourth District Court of Appeal of Florida agreed with us. JUDGMENT REVERSED! CASE DISMISSED! May 15, 2016 | by The Law Offices of Evan M. Rosen, P.A. On or about March 13, 2009, our client, Mr. Julian Garvin, was called to active duty by the United States Army for one year, to begin on March 22, 2009. On March 26, 2009, he informed his mortgage servicer, JPMorgan Chase Bank, N.A., that he had been called to serve. Mr. Garvin provided a copy of his deployment order and asked them to reduce his interest rate, as required by federal law. No such adjustments were made. While on active duty, and for 11 months after his return, Mr. Garvin continued to make his full monthly payments. Then, at the peak of the crisis, he was unable to continue to pay. On November 14, 2012, ALS-RVC, LLC, the entity claiming the right to foreclose, filed suit. The case went to trial and was involuntary dismissed, in part, because of ALS-RVC’s failure to adjust the interest rate as required by the Servicemember Civil Relief Act (SCRA). 50 U.S.C.A §3937. ALS-RVC appeals. In their Initial brief they concede the SCRA “applies to this situation, and [Mr. Garvin’s] loan payments should have been credited with a reduced interest rate during his active duty…” They also concede that “Subsection (e) of 527 is entitled ‘Penalty’ and reads, ‘Whoever knowingly violates subsection (a) shall be fined as provided in title 18, United States Code, imprisoned for not more than one year, or both.’ 50 U.S.C.A § 3937(e).” Yet, rather than trying to make amends for their admitted, jailable offense committed against a member of the United States Army, the bank and their lawyers appeal. In the 80s, we were introduced to the phrase “trickle down economics.” From what I see in this and so many other cases, the only thing trickling down from Wall Street is fraud, greed, arrogance and a complete disregard for the rule of law. December 23, 2015 | by The Law Offices of Evan M. Rosen, P.A. November 3, 2015 | by The Law Offices of Evan M. Rosen, P.A. This was one of our more complex cases. Suit was filed in mid-May, 2009. There were ten trial orders setting the case for trial. Ultimately, trial started in February of 2015 and was spread out over three days, months apart. Finally, in June of 2015, trial was concluded – with a dismissal in favor of our client! When suit was filed, the Plaintiff didn’t attach even a copy of the note to Complaint, as is required by Florida Rule of Civil Procedure 1.130. 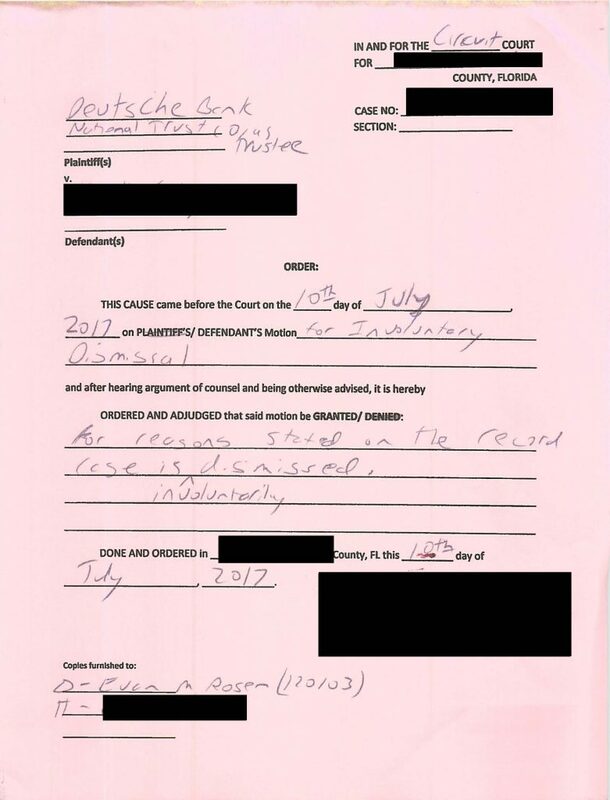 Subsequent to filing suit, they filed a copy of a note with an allonge. We often “joke” in the industry that an allonge is a French word for fraud but it is legally defined as an indorsement to the note made on a separate piece of paper, which must be firmly affixed to the note. The Plaintiff later filed an “original” note but the “original” didn’t have that allonge. At trial, they suddenly claimed the allonge was lost. After all this time, the Plaintiff never moved to amend their complaint to plead lost note and attach the note with a copy of the lost allonge. There is an abundance of law which holds that the parties are bound to their pleadings. The pleadings frame the issues for trial and, generally, what the Plaintiff pleads in their complaint, limits what they can raise and attempt to prove at trial. Without a court order, agreement between the parties or implied consent, a party cannot suddenly switch their theory of recovery at trial for the first time. Regardless, the Plaintiff never proved up any of the elements required to enforce a lost note.